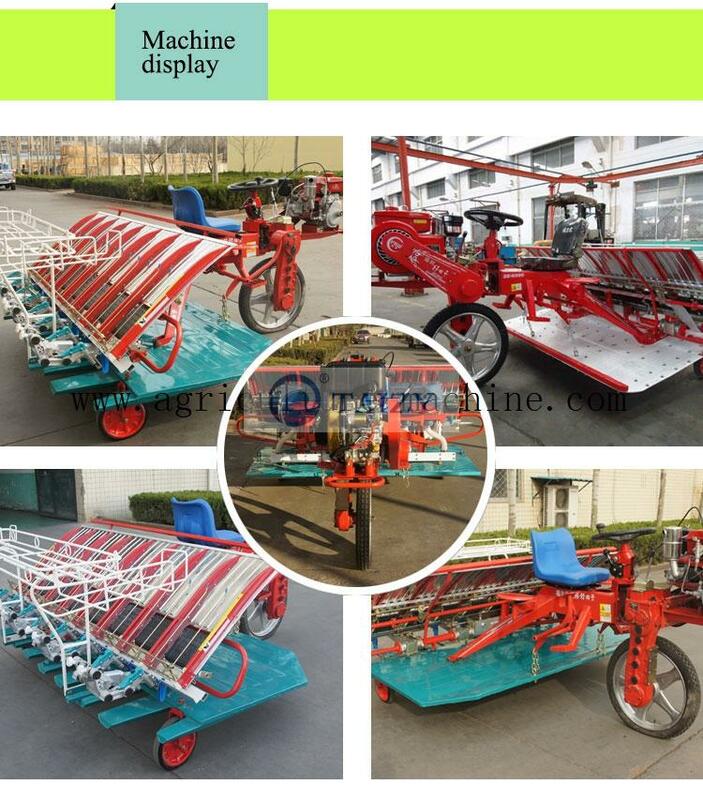 8 row rice transplanter has a big advantage of high capacity. Customers who have a big farm or want to deal with transplanter business can choose this model. Rice planter is suit for all kinds of fields.The hanging suspension can adjust the rice plant height according to different fields.Planting space can be adjusted according to customer’s requirement. Row to row distance is about 300mm and hill to hill distance is 120-140mm. It is driven by 178F diesel engine that give more power to the machine. The 8 rice transplanter machine mainly consists of universal joint, universal joint square, transplant arm, planting needles, rear cover for chain box,delivery leather belt, V-belt, stylus pin, seeding backplate and screw shaft. 1.8 rows rice planter saves labor time, and two-person can finish all the jobs. One drives the machine, and another one places the rice seedlings. 2. Seedlings planter machine is very easy to operate and has a long service life. 3. 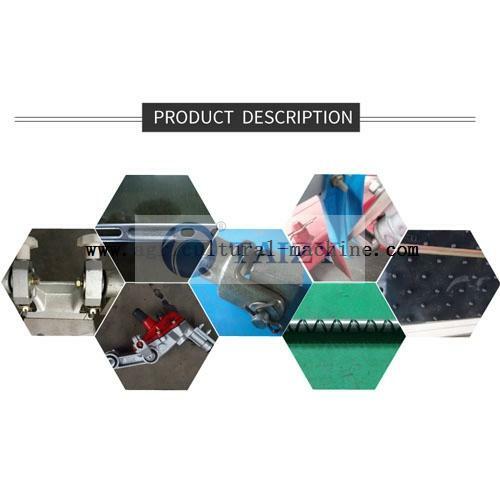 High applicability can ensure the working mud within 15-35cm. 5. Seedlings can be placed into soil vertically and orderly. 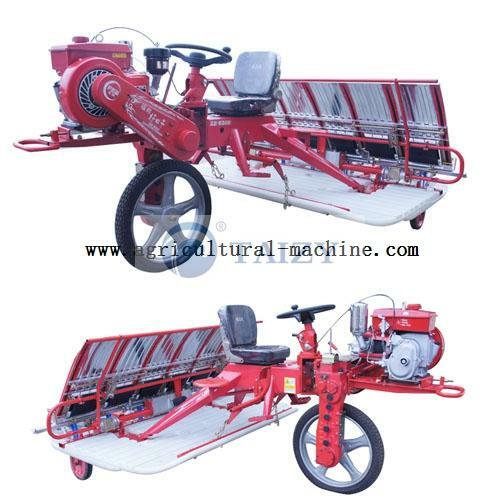 The hydraulic device of the rice transplanter is important,which is determined by soil condition. Operator can adjust the transplanter so that the machine’s stationarity can keep pace with the transplanting frequency. Generally speaking, the plant spacing needs to be adjusted according to the needs of field. Before working, it is necessary to determine the density of rice transplanting according to the local planting environment and the characteristics of rice. In this way, rice output will be good. 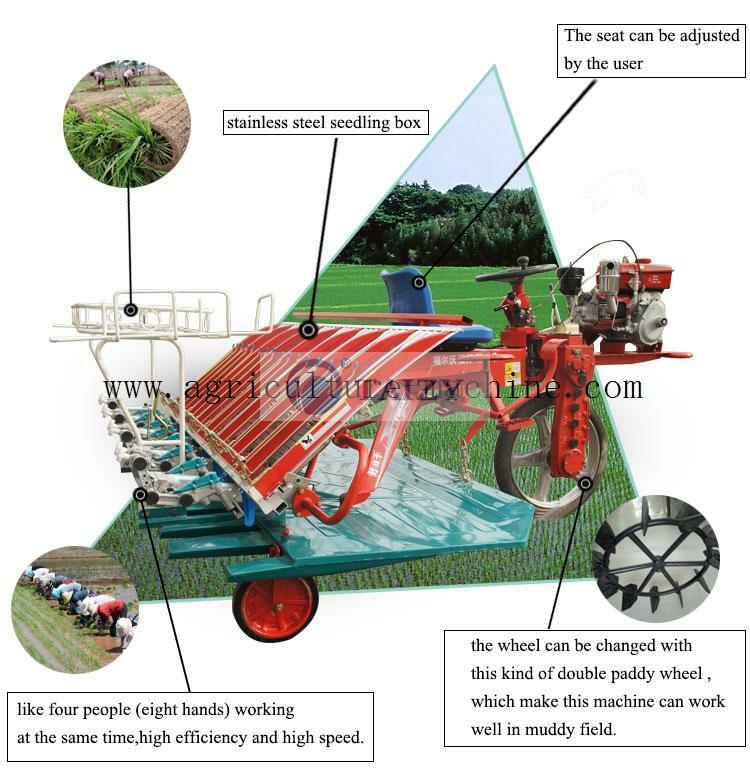 Our rice transplanter can not only improve the working efficiency, but also liberates a large number of labors as well as optimizing the rural industrial structure. 1. The seedlings with regular state are placed orderly in the box, and are moved laterally. 3.At the same time, the hydraulic system can control the relative position of the floating plate and the seedling needle in order to keep insertion depth consistent. 4.The transplanter does the same action to pick seedlings again. This 6 row planting rice machine is as same as 8 row rice ttransplanting, being equipped with high efficiency and matches with 178F diesel engine. 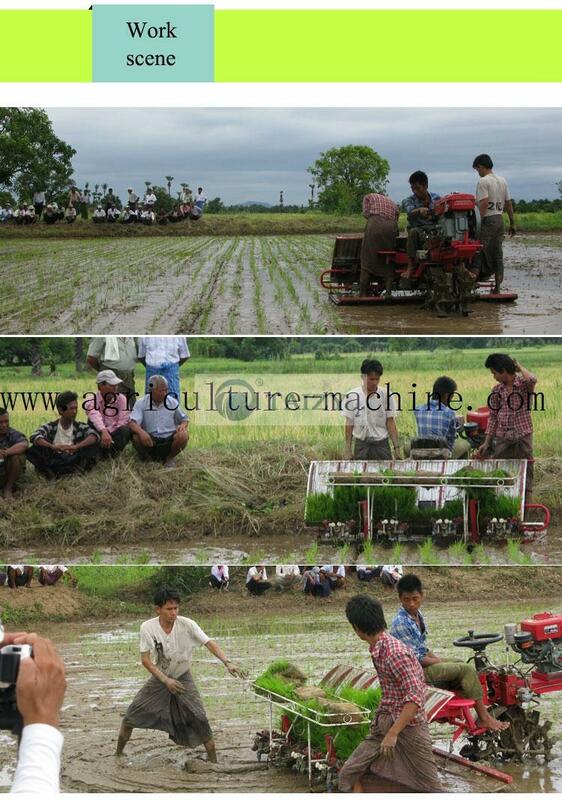 The depth of rice planter machine can be changeable, that is, from 15cm to 35cm. There is a adjustable seat in the rice transplanter as well, which can make users feel comfortable. Seedling guards can ensure seedling keep upright and tidy. 1. Are plant spacing and row spacing adjustable? 2.How about the working efficiency of this machine? 3. How many people are needed when working? Two, one drives machine and other places the seedlings. 4.How to adjustment transplanting depth? 1. Loosen the fastening steel wire, turn the lifting rod. 2. Turn the rod clockwise results in smaller depth; turning counterclockwise results in larger depth. 3.When the required transplanting depth is reached, block the screw rod again with the fastening steel wire.